Garden design is about creating outdoor spaces. To make an outdoor space or room think about how you can define it through the addition of a floor, walls and ceiling. There are many options for all of these, but in this post I'll focus on just one...using a fence as a wall. Constructing a fence is a fabulous way to define your garden walls. 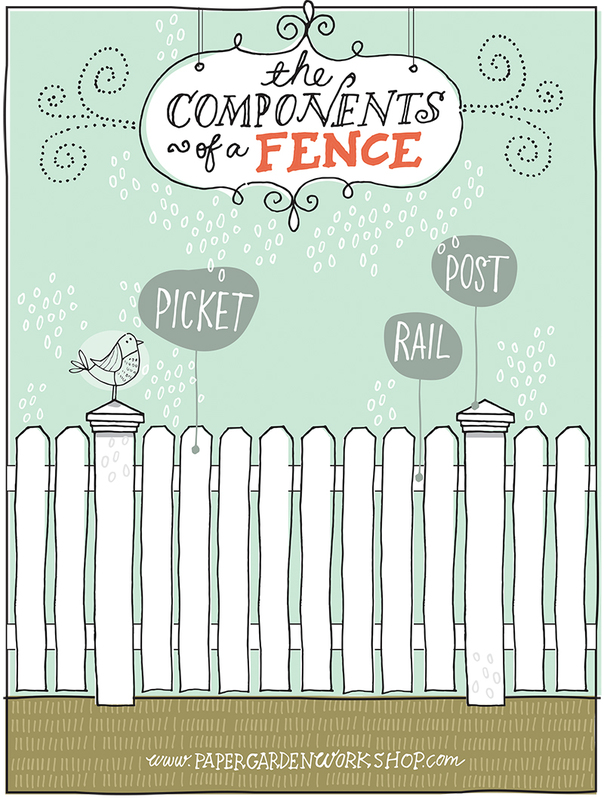 There are three major components to a fence that can be manipulated into many styles, shapes and sizes: posts, rails and pickets. The posts are placed in the ground to structurally support your fence, the rails (or stringers) are the horizontal connection between the posts, and the pickets are (typically) the vertical component that connects the rails. Please see the image above and feel free to click on it to download a .pdf for yourself. 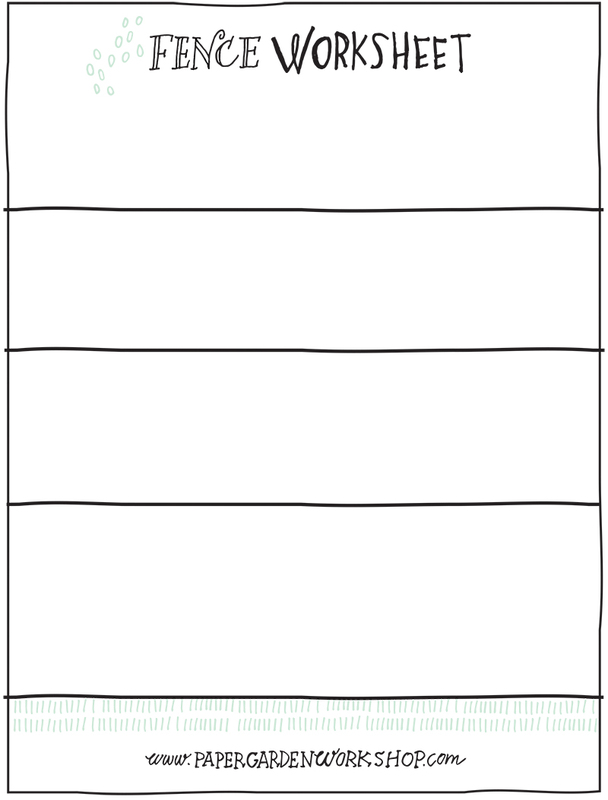 The rails and pickets may change form and direction a bit as a fence style changes (see image below, which you can also click for a .pdf). 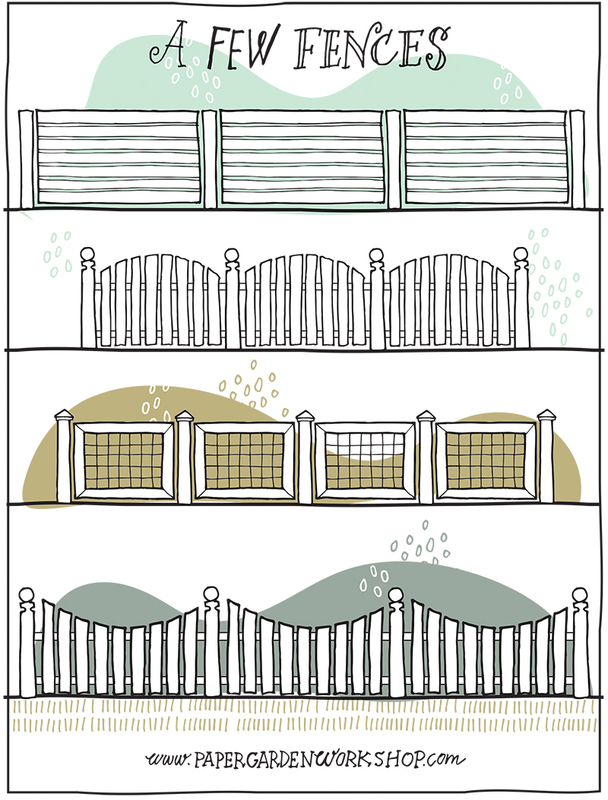 To explore your own fence styles click on the image below to download a sketchable worksheet. Each line represents the ground plane, so there is space to create four unique designs. For additional inspiration I've compiled a collection of fence images on this Pinterest board too. Enjoy!